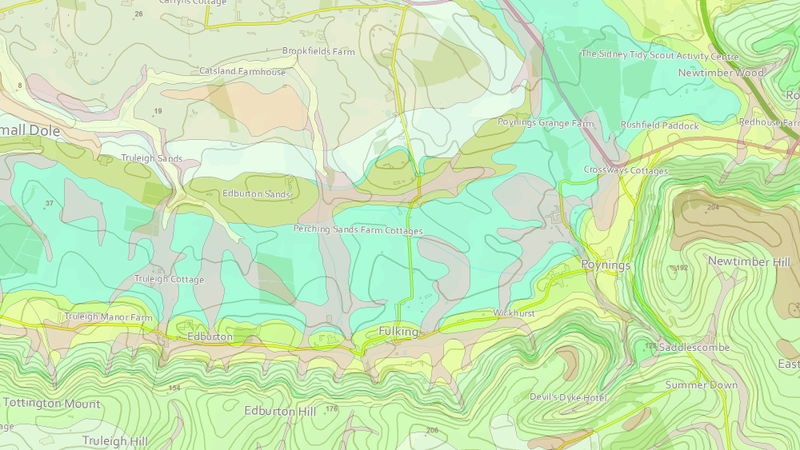 The maps above derive from the British Geological Survey and are provided under the terms of the Open Government Licence. 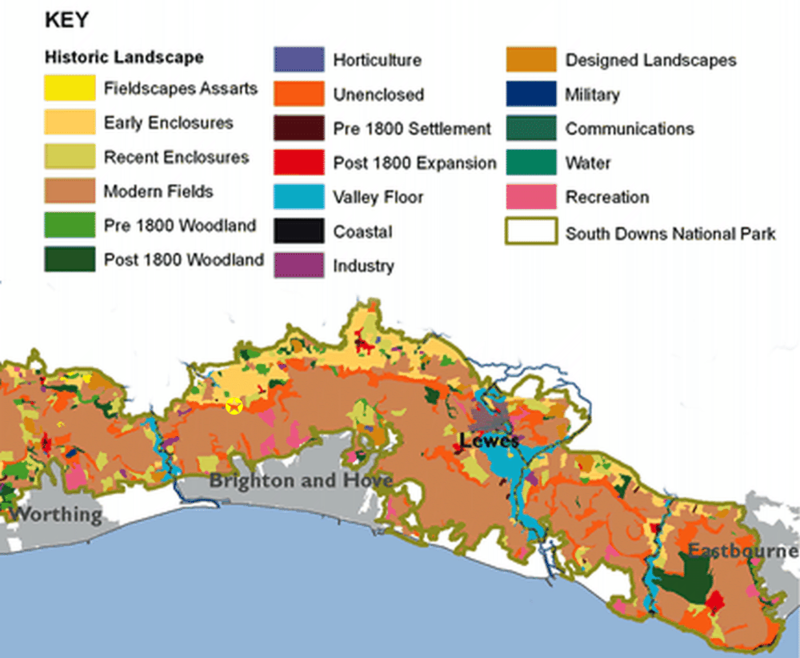 Contains British Geological Survey materials © NERC 2013. 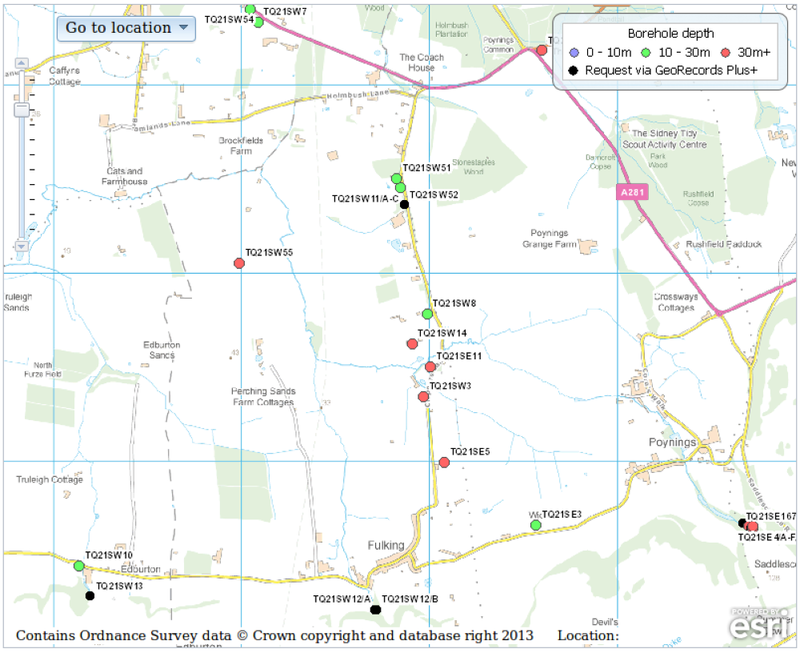 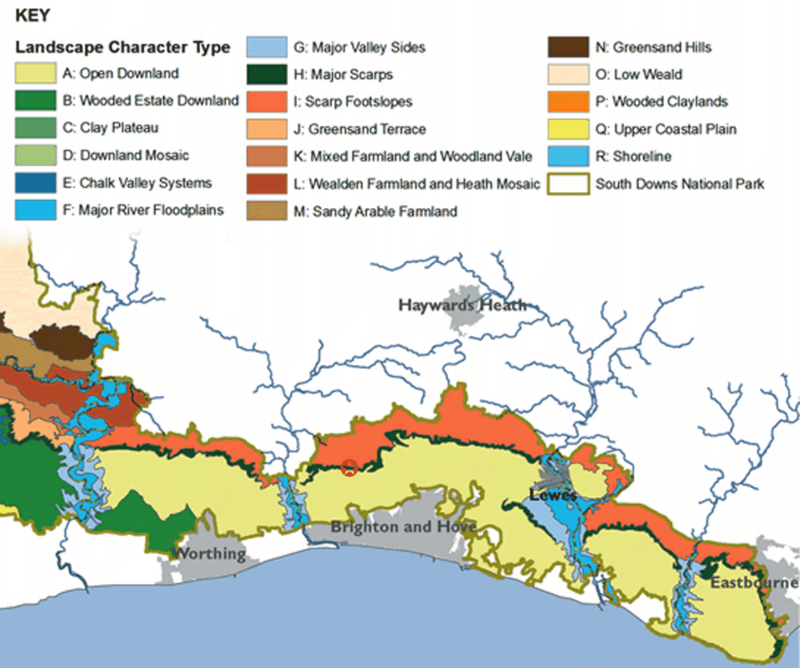 The maps above derive from those found in Chapter 2 of the 2012 edition of the State of the National Park Report issued by the SDNPA. 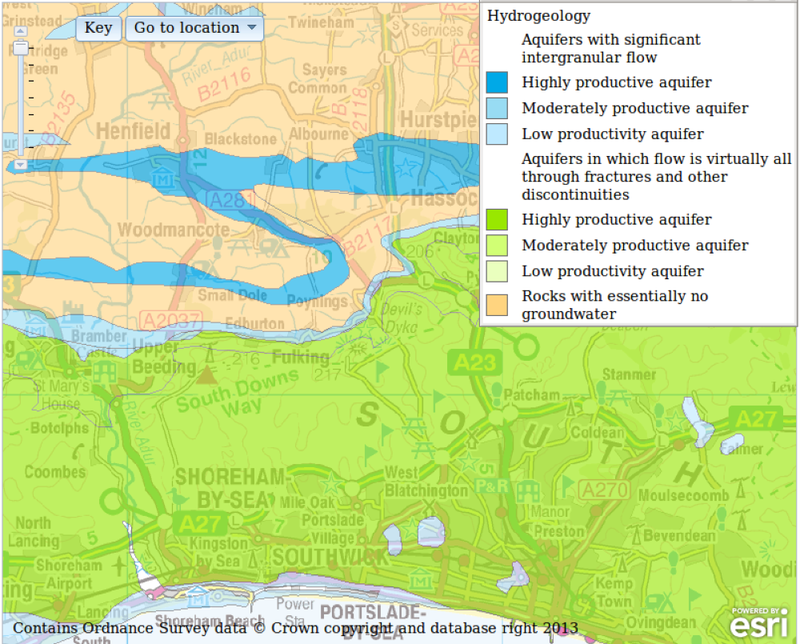 The originals were produced GeoSpec, University of Brighton, in February 2012. 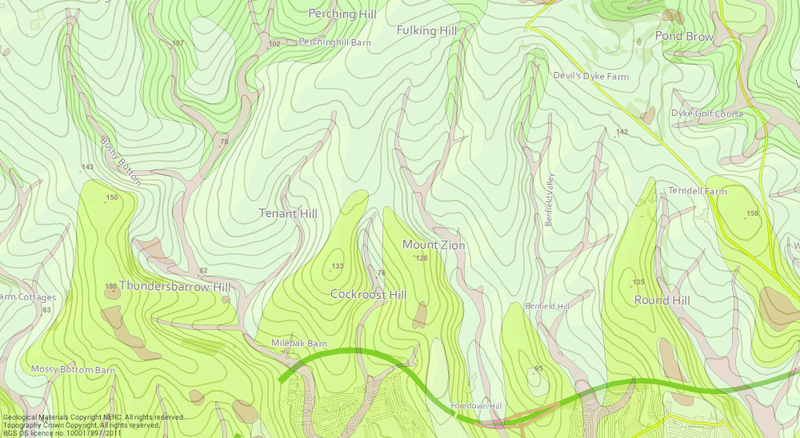 The Beeding Hill to Newtimber Hill SSSI (site of special scientific interest), map © Natural England, 2012. 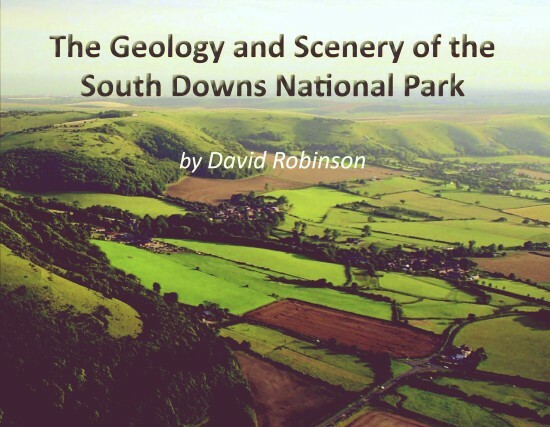 The geology of Devil’s Dyke: clicking the image will take you through to the relevant Sussex Geodiversity page and allow you to access the photographs that correspond to the numbered yellow dots. 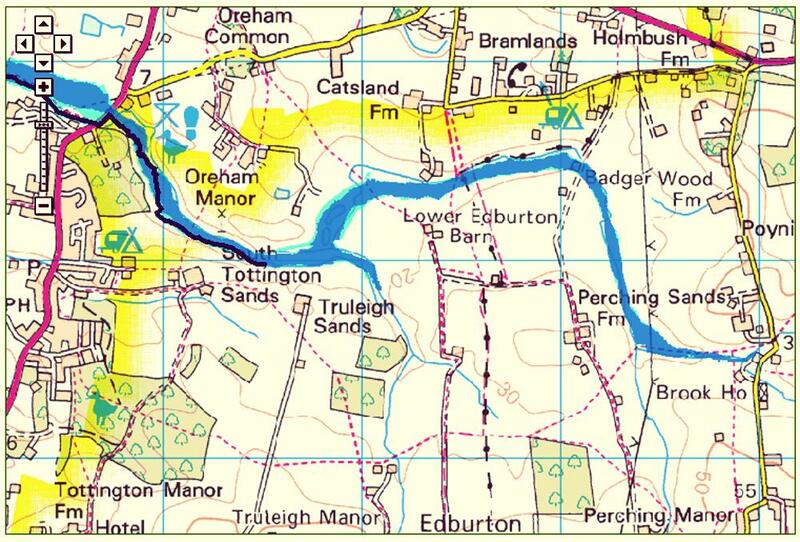 The risk area (blue) for flooding in Edburton and Fulking: the Environment Agency rates the risk as ‘significant’ which means that there is a greater than 1 in 75 chance of flooding in any given year. 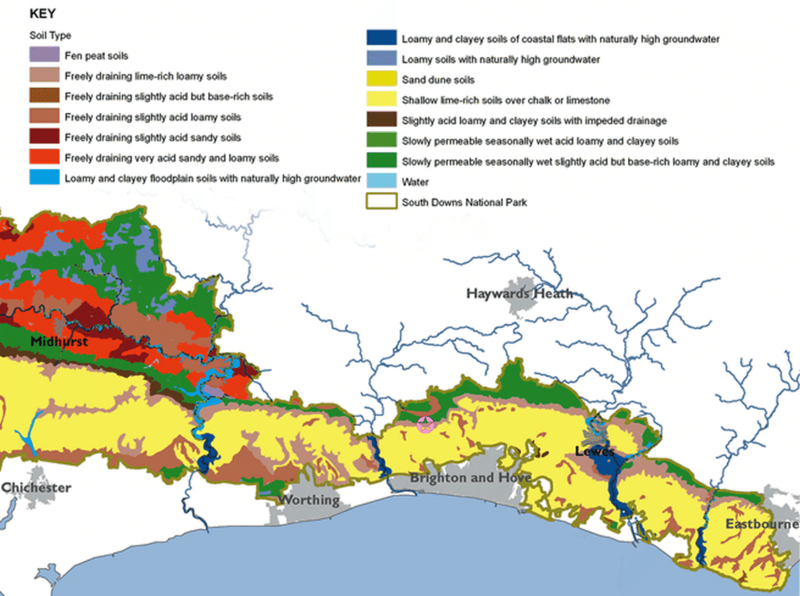 West Sussex County Council (2003) Geology and Hydrogeology — a chapter from a consultation document [PDF].